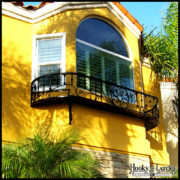 Whether your heritage is French, you’re a serious football supporter of the New Orleans Saints, or you just love the distinctive fleur de lis symbol, adding it to your home decor can be easily accomplished with our “Freshly Picked Fleur de Lis Collection.” From handle pulls to door knockers, from Board & Batten shutters to a decorative strap hinge as accent, we offer a rich assortment of this iconic art as rendered on numerous home exterior products. The French words, fleur de lis, literally translates as ‘flower of the lily’, with the artistic rendering as a stylized version of the flower from the 12th and 13th centuries. 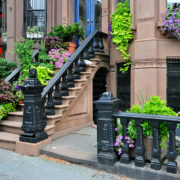 Although some believe the symbol dates back to Egypt, it is most commonly associated with French royalty as an origin. The fleur de lis is further associated with the concepts of perfection, light and life. The symbol took on religious meaning as Joan of Arc and the Roman church assigned religious meanings to the fleur de lis. Still later, this lovely graphic came to represent strength and military might and, over time, has been commonly used as a secular symbol and artistic flourish. The fleur de lis has even found its way as a depiction for the NFL’s New Orleans Saints, undoubtedly reflecting strength and prowess as well. 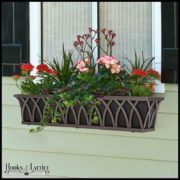 Given the great popularity of the fleur de lis as both art and symbol, Hooks and Lattice offers a number of stylized exterior decor applications for home decorating. 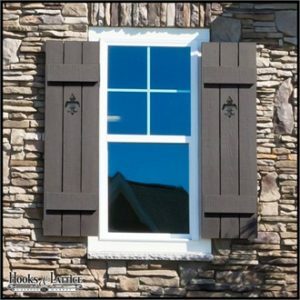 This handsome graphic is showcased on our popular painted cedar Board & Batten exterior window shutters, adding an artistic flare to your home’s curb appeal. When combined with our decorative strap hinge, your shutters can display an old world feel with contemporary charm. 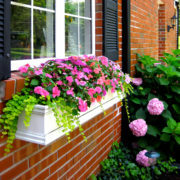 It’s easy to continue the fleur de lis decor theme to complement your home’s exterior decor. Add the back lit address sign with a compelling fleur de lis graphic on each end of our lightweight weather-resistant aluminum address plaque. 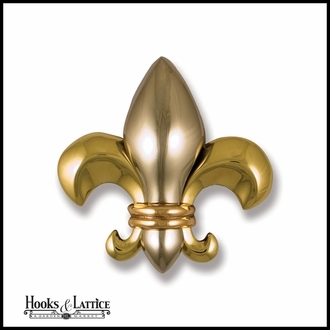 We also carry an elegant French inspired door knocker for the front door. 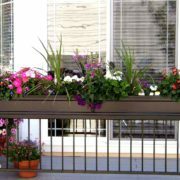 And gates take on an extra distinctive flourish with the durable powder coated cast aluminum handle pulls. 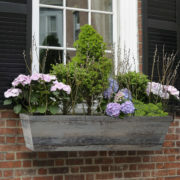 Whether you are looking to ‘garnish’ your home with NFL Saints flags to complement your fleur de lis decor or just love the richness of this beautiful artistic symbol from the ages, there are numerous home decor products that present a cohesive and attractive curb appeal theme for your home.